When we are dealing with businesses, we can encounter on a daily basis purchase orders or letters ordering the delivery of goods or services. An order is written by the buyer and sent to the seller to communicate such request. 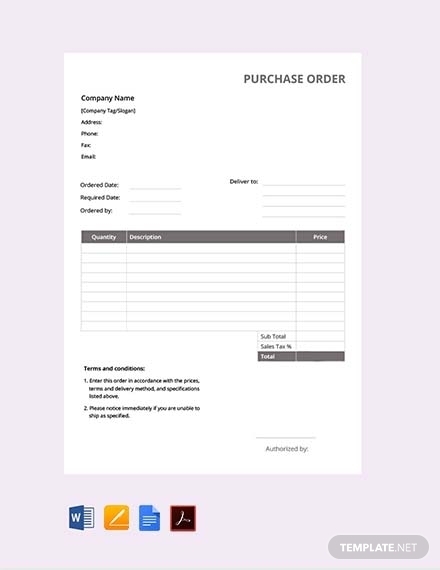 Although orders are written by the buyers, business entities would typically supply printed order forms for the customers to fill out those blank purchase orders. Hence, it is a necessity for every company to have an order template ready to be handed out for the customers to place their orders. What exactly comprises a purchase order? How can you make one? 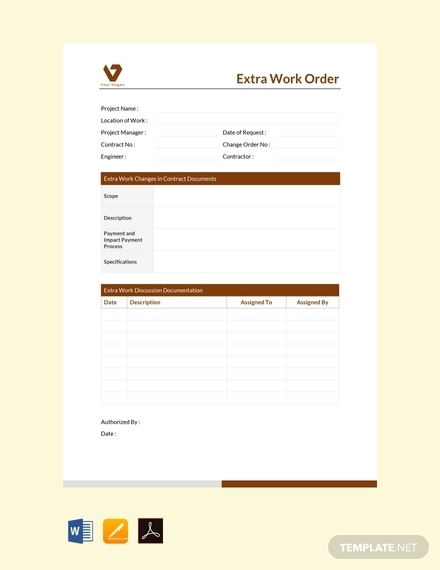 In this article, we are providing you with examples and templates of order forms that can be very helpful in your start-up. Product name: The name of the product must be specified on the order form and the brand of such product if possible. There are times when the customers would not specify the brand as they are allowing the entity to give some recommendations. Description: It is better that a brief description of the product will also be written on the order form to provide a more detailed description of the item or items to be purchased. You may also see service order examples. Quantity: Customers must also specify the number of the item to be purchased. This is among the very basic information that the customer must state in their order forms. Model number: If the customer is keen to details, he or she might know the exact model number of the item to be purchased. If not, he or she can inquire the salesperson who handles the transaction. Color: Specifying the color for the item to be purchased is also important so that the seller would know the variant desired by the customer. You may also see event order examples. Size: The size of one product usually varies, so it is important that the size requested by the buyer must be clearly indicated. 2. Shipping information: The customer can also indicate their desired shipping although it is still subject to modifications and adjustments to be set by the seller. Sometimes, they need to agree on this matter first before the customer would fill up the shipping information. Desired receipt date: The customer must communicate to the seller his or her desired receipt date which might still be subject to changes. Desired shipping location: The location of the buyer or the desired shipping location must also be specified by the buyer. You may also see delivery order examples. Mode of shipping: The buyer can also choose his or her desired shipping mode from the available modes of shipping. 3. Payment information: The buyer must also indicate the payment information of the transaction and specify the mode of payment. 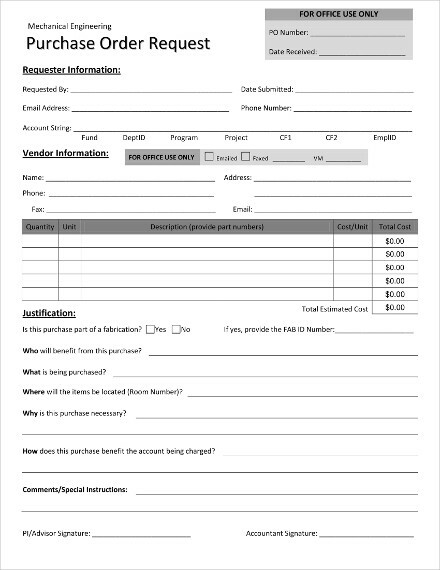 Note that the seller will provide the options for the mode of payment, while the buyer must select from those options and write their choice on the order form. You may also see job order examples. 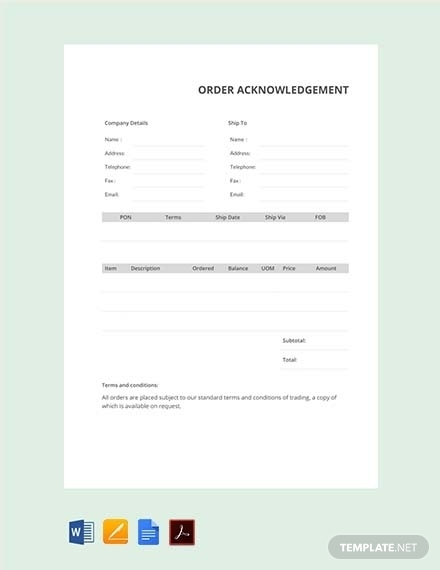 Creating an order form is not that difficult especially when you just stick to the basics. 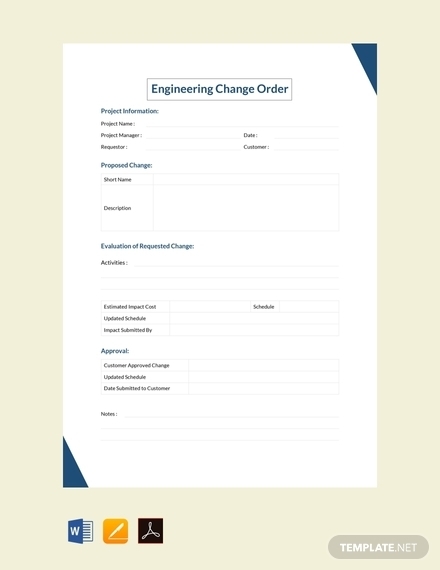 Similar to job order templates, the content for a purchase order or order forms, in general, contain the elements stated above, which are the items that must be present in an order form. 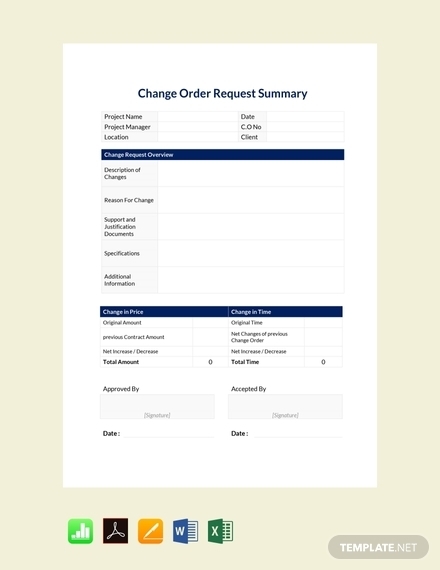 Here is how you create an order form using different computer applications. Firstly, you need to install and activate the WPForms plugin. Then, you can modify or edit the items that are available to order. You can rename the field, add or remove order items, and even change the prices. 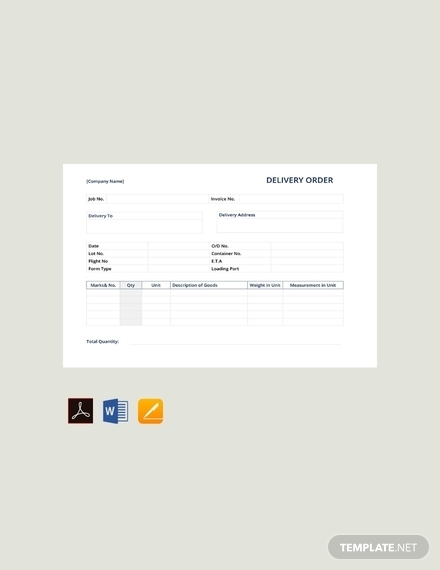 You may also add additional fields to your order form by dragging them from the left-hand side to the right-hand side. Save the file once you are done. You can also configure your order form notifications. Moreover, order form confirmations can also be configured. This pertains to the messages that display for customers once they are done submitting their order forms. It can be a message, a show page, or by redirecting them to another page. Another special feature in WordPress is that you can configure the payment settings where you can integrate modes of payment through PayPal, Stripe, among others. You may or may not configure this feature depending on whether or not you are accepting online payments. If you do not allow for online payments, you can basically skip this step and proceed to the next. Finally, you can add your form to your site, blog posts, and pages. To begin, set up your workbook by opening a new blank workbook. On the Products sheet, type the list of available products on one column as well as their respective prices on the next column. A heading must be placed for each of the columns. Then, format it as an Excel table. To do so, select any cell in the product list, and on the “Home” tab, click “Format as Table.” Check if there are drop-down arrows on the heading row. 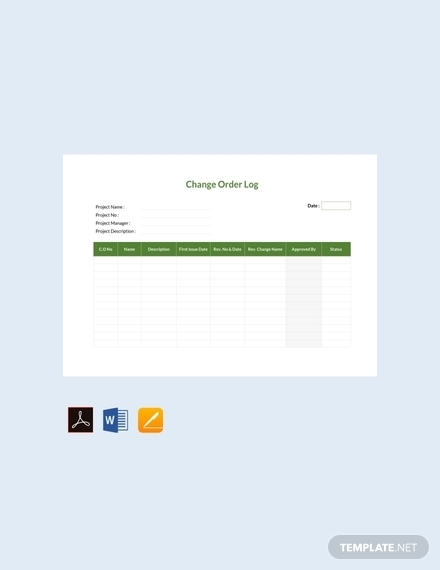 Now, you can start creating the main order form. 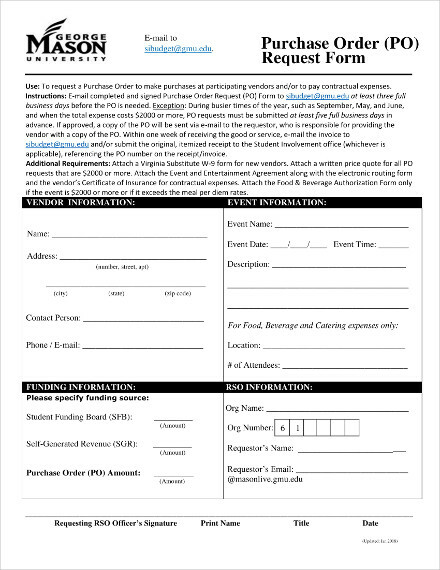 Type the heading “Order Form” and the date. Create product drop-downs as follows: select the appropriate cells, choose data, validation, allow drop-down, choose list, and lastly, type Product List. You can also add price lookup so people will easily know the prices of your products. On the row total, type a formula to calculate the total amount for the row. Finally, using the SUM function, sum up all the amount in Total row. Save your workbook before you exit. First, open a new Word document. Then, check the “Developer” box for it to be displayed on Word’s ribbon interface. On the Developer tab, click the “Controls” section then select “Design Mode” to display Word’s form control buttons. Use the control buttons to add controls to your form. Check the “Allow only this type of editing in the document” box and then choose “Filling in forms” from the drop-down menu. Lastly, do not forget to save your document. Standard purchase order: This is considered the most basic and widely used among different types of purchase orders. It is created when a buyer is certain about the details of the order—price, delivery schedule, payment terms, among others. Contract purchase order: This type of order is created for a set period of time even though the item, price, quantity, shipping, and others cannot be precisely anticipated. This type of order can be raised by the buyer which becomes a legal contract enforceable in court upon acceptance. During the contract period, the buyer can raise a standard purchase order, such as in the previous bullet point, with specifications of requirements and request for goods. Blanket purchase order: This purchase order is used in cases where the item is known but the quantity and delivery schedules are not yet known. This type of purchase order is often used in requesting large quantities of items with exceptional discounts. 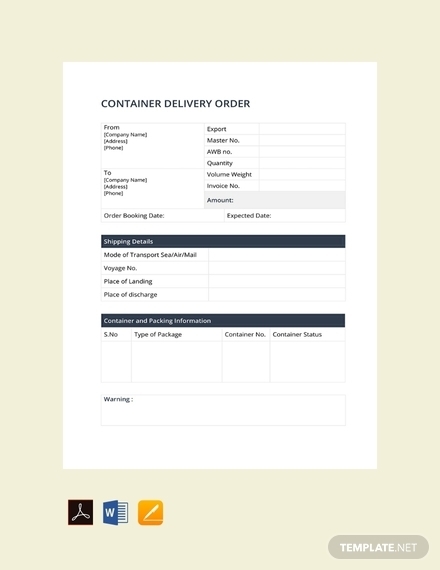 Planned purchase order: As the term suggests, this type of purchase order is used for a planned purchase that is anticipated for long-term purposes where the delivery schedule is not known in advance or only tentative dates are provided to the seller. The item, pricing, and quantity may be known in advance. You may also see money order examples. 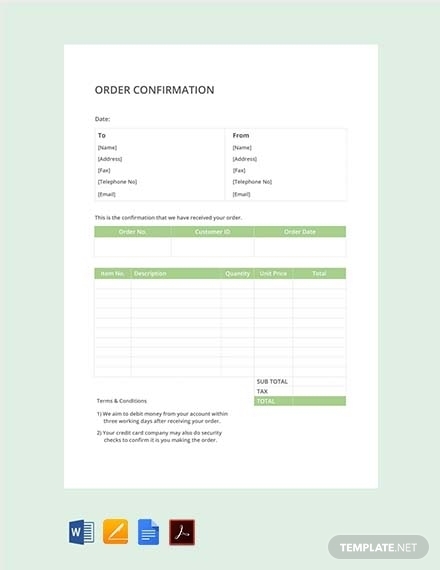 What is the importance of an order form? 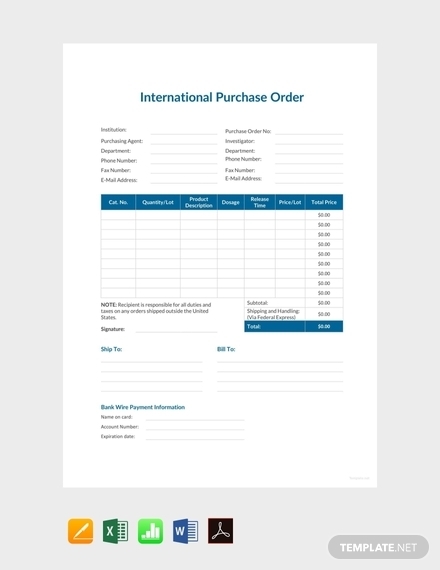 An order form is one of the important documents in a sales transaction. It serves to communicate the request of the buyer for certain products from the seller. It contains important information such as the product information, shipping information, as well as the payment information, although some of these information are not yet known or cannot be precisely anticipated. 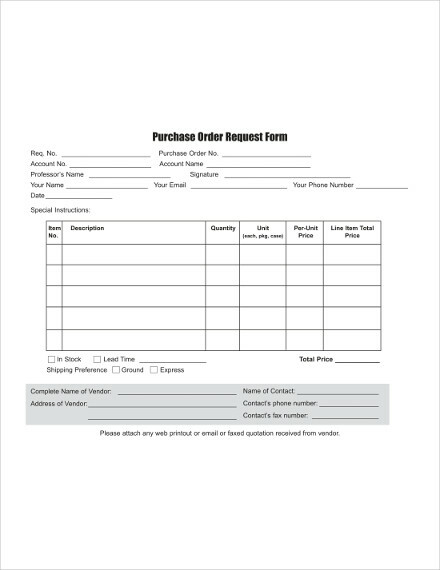 Through an order form, the seller can prepare the items needed by the customer. Is a purchase order legally binding? A purchase order can become a legally binding document once the seller accepts the purchase order. In this manner, a contract is formed between the seller and the buyer. The contract is therefore valid and binding and is enforceable in court. Hence, it is important that the buyer must clearly communicate his or her request to the seller to avoid confusion or misunderstanding once the purchase order is received. 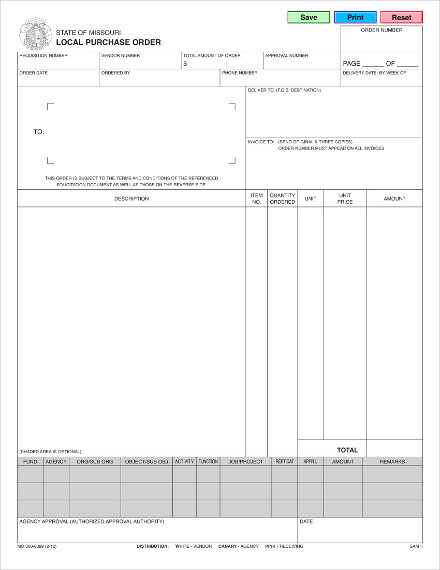 What comes first, a purchase order or an invoice? In a business transaction, normally, the buyer will first send his or her request to the buyer through a purchase order. Then, upon receiving the order, the seller will prepare for the goods and send a summary of the goods that the buyer has purchased through an invoice. Hence, an invoice is sent after the purchase order has been agreed upon and payment has been made.